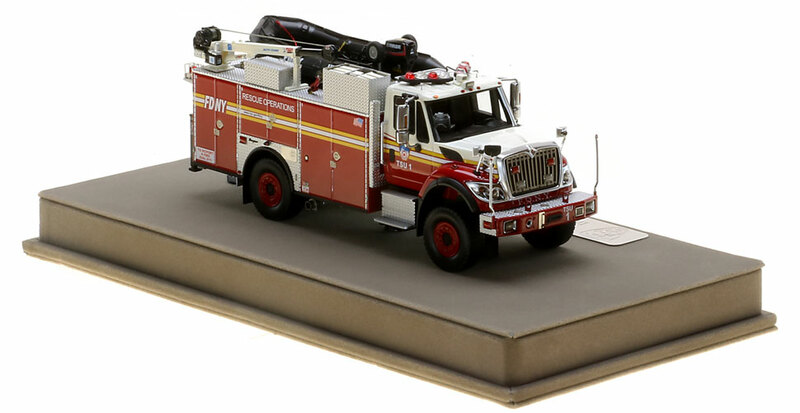 The first museum grade FDNY Tactical Support Unit scale model. 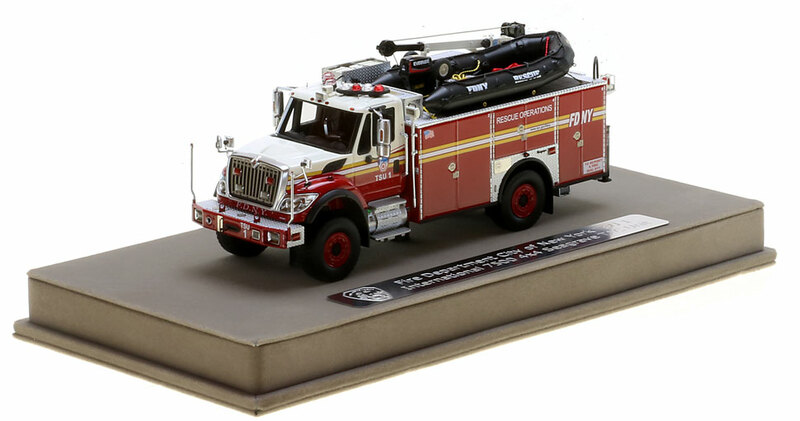 From the tiny features on the Auto Crane to the aggressive details on the International 7500 4x4 cab and chassis, this 1:50 scale replica is authentic to FDNY's TSU 1. Hand-crafted using over 440 intricately detailed parts. FDNY Tactical Support Unit 1 features impeccable detailing and true-to-scale parts that only stainless steel can provide. Only 150 units of TSU 1 have been produced. Fire Replicas are designed with the elite collector in mind, and manufactured in limited quantities to enhance value. 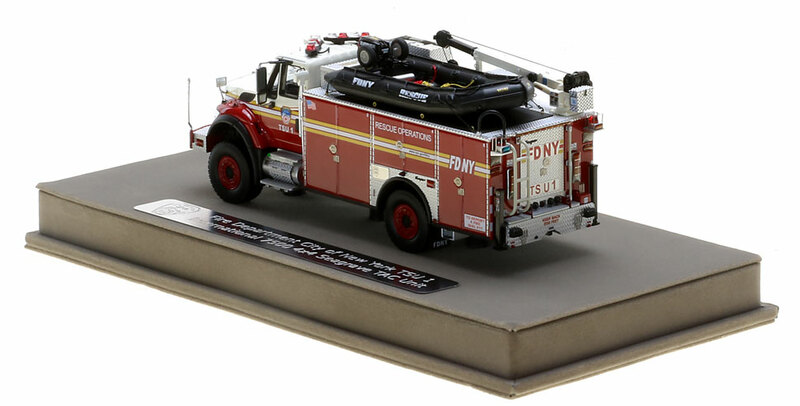 The FDNY TSU 1 measures 6.75"L x 2.5"W x 2.5"T and is securely displayed inside a custom case, measuring 10"L x 5"W x 5"T.
This FDNY TSU 1 scale model is a museum grade replica of the FDNY International 7500 4x4 Seagrave TAC Unit. Like all Fire Replicas models, every detail is modeled to perfection and with razor sharp precision. The replica features the specific department configuration and graphics, leaving no detail overlooked. The display case is custom manufactured with high quality acrylic and resin. The stainless steel etched plate features the department and truck name, and department seal. This replica is a treasure to be displayed and admired and is in no way a toy. Another outstanding model. Great detail. It is great to see a truck like this. As always , Hands down the best fire replica company out there. The products are amazing, and the detail along with customer service are the best I’ve ever experienced.